You don’t have to be in New York to enjoy this favorite American classic. 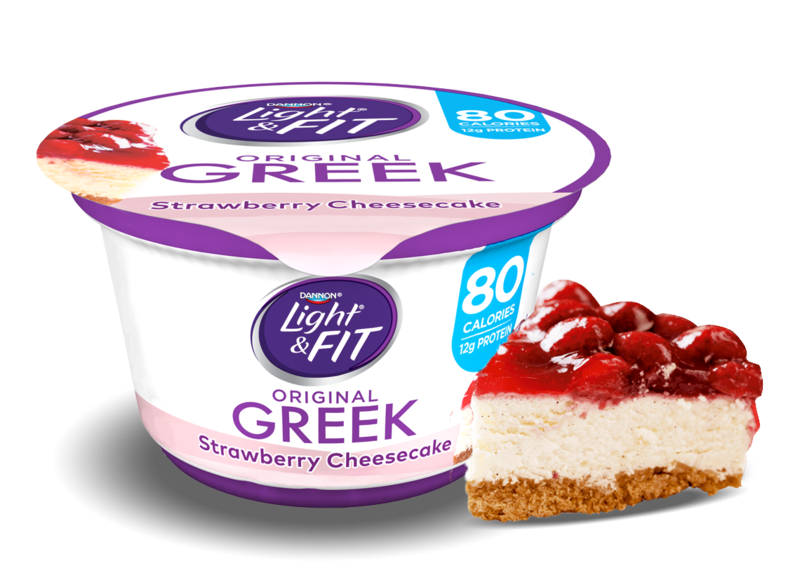 There’s almost nothing better than the taste of cheesecake strawberries, except that each 5.3 ounce cup has 0g of fat and 80 calories! Cultured Grade A Non Fat Milk, Water, Strawberry Puree, Fructose, Contains Less Than 1% Of Modified Food Starch, Natural and Artificial Flavors, Black Carrort Juice (For Color), Citric Acid, Sucralose, Potassium Sorbate (To Maintain Freshness), Acesulfame Potassium, Sodium Citrate, Active Yogurt Cultures L. Bulgaricus & S. Thermophilus.